In the wake of the Oklahoma City bombing, Susannah Charleson clipped a photo from the newspaper of an exhausted canine handler, face buried in the fur of his search-and-rescue dog. A dog lover and pilot with search experience herself, Susannah was so moved by the image that she decided to volunteer with a local canine team and soon discovered firsthand the long hours, nonexistent pay, and often heart-wrenching results they face. Once she qualified to train a dog of her own, she adopted Puzzle, a strong, bright Golden Retriever puppy who exhibited unique aptitudes as a working dog but who was less interested in the role of compliant house pet. 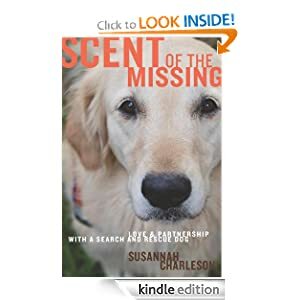 Scent of the Missing is the story of Susannah and Puzzle’s adventures as they search for the missing—a lost teen, an Alzheimer’s patient wandering in the cold, signs of the crew amid the debris of the space shuttle Columbia disaster — and unravel the mystery of the bond between humans and dogs. Scent of the Missing or to sample this book for FREE! After spending the summer in Lily Dale, Calla has decided to stay for a few more months, and will soon be starting school at Lily Dale High. She's finally getting used to her new home and her newly realized gift. But lately, the visions occur much more frequently and have a greater sense of urgency. There may be someone who needs her help but there might also be a killer on the loose. Now that Calla believes in her own ability, can she learn to use it properly? And will she be able to learn more about her mother's mysterious death without putting herself in serious danger? 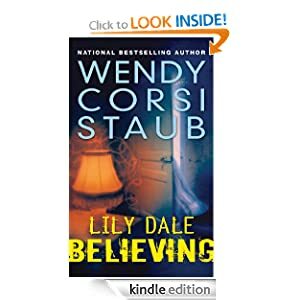 Lily Dale: Believing or to sample this book for FREE! • 12 Fabulous Frugal Party Ideas. Too many frugal living books focus on the negative, throwing around words such as "sacrifice" and "responsibility" like there was a fire sale at the Boring Store. But the writers at Wise Bread believe the key to financial wellness isn't a ramen-eating, vacation-skipping, fun-depriving life. Far from it. The best way to ensure that readers will stick to a budget is to help them create a lifestyle that is as much fun as it is practical. 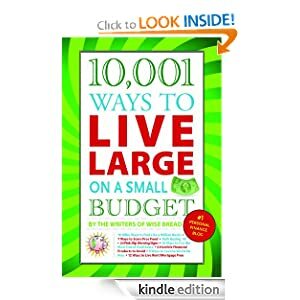 10,001 Ways to Live Large on a Small Budget or to sample this book for FREE! -- Have you noticed the cost of groceries absolutely skyrocketing? As the cost of feeding our families well on a tight budget continues to climb ever higher, we need to reevaluate how we spend the money in our grocery budget. That’s where Joyful Momma’s Guide to Shopping and Cooking Frugally comes in. If you’re like me, you’ve been frustrated by the rising prices of groceries, while the family income either remains the same or goes down. It seems like everyone is looking for ways to cut back on their grocery bill. Let me help you learn how to save big money at the grocery store with some simple and easy-to-implement tips! 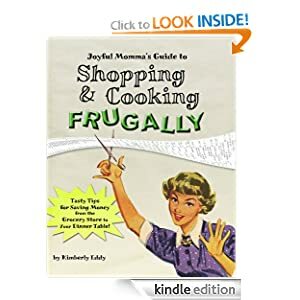 Joyful Momma's Guide to Shopping and Cooking Frugally or to sample this book for FREE!